Located in Calala, a small suburb of Tamworth, Farrer Memorial Agricultural High School is one of Australia’s leading agricultural boy’s secondary schools. 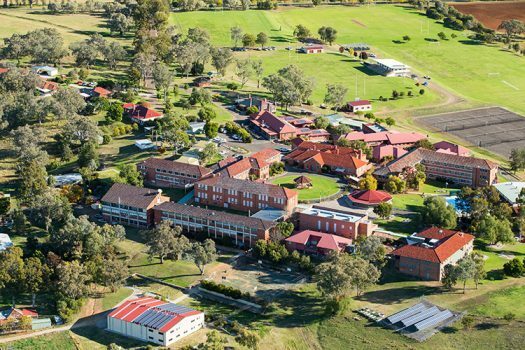 With compulsory classes such as calf rearing, horticulture and cropping, the academically selective school is the only public agricultural school in Australia. In order to contact any student or staff member in the school’s district, they would have to call the appropriate person manually, which was time intensive. If they were unable to reach said person, they would have to raise a general alarm, alerting the whole school, rather than the specific person. Ultimately, the school found it difficult to maintain the former as an effective communication system. Whispir implemented a platform that gives emergency responders a streamlined and targeted way to send critical information via SMS, email, social media or automated voice calls. In the event of an emergency in a specific location, rather than raising a general alarm, they now send critical information to the right people right away. This removes any dangers or chance of human error when contacting someone, as Whispir provides the contacts in a pre-planned scenarios and templates. After a successful proof of concept, FMAHS is now actively implementing the Whispir and Telstra education crisis solution. This gives emergency responders a simplified way to send targeted information to staff and students via channels that will reach them in the most effective way, including SMS, email and automated voice calls.